Help your grad get ready for their next job after graduation with a new bag. The exact type of bag that’s most useful to them will vary based on their career, but here are a few of my favorites. A messenger bag is probably one of the most popular professional bags out there. I love this simple canvas CoolBell bag. It’s available in 11 different colors and two different sizes plus it’s loaded with pockets and even hidden backpack carrying straps. Of course, if you’re a fan of the classic leather messenger bag look this one is my top pick. Another nice option is a large purse capable of fitting a laptop. Currently I’m using this bag that’s big enough to fit an average sized laptop. While the bag is big, it doesn’t feel too big like some laptop purses. It comes in tons of color options so there’s bound to be at least one color your grad will like. If your grad would really like to keep rocking a backpack, the Swiss Gear one is a classic. I’ve seen these everywhere and for good reason. They are a quality, durable bag that will meet their needs. If that’s not what your into, Belk has more great options like this one by Perry Ellis. My younger sister, who had just moved into her first apartment alone, received one of these for Christmas last year and she absolutely loves it. It’s one of those small kitchen appliances that everybody needs. An Instant Pot can make rice, steam vegetables, be used as a crock pot, and even make yogurt. These things are so versatile it’s amazing. Of course, if you’re going to get your grad one of these, I also recommend picking up this awesome cookbook, I use it all the time. I’m a huge reader and love spending an afternoon with my head in a good book. I consider books shortcuts; a way to learn from someone else’s life. Books can teach you an immense amount of information and you can turn back to them again and again. Here’s a few books I recommend for new college grads. This book written by Kelly Williams Brown is a humorous introduction into the post-college life of adulthood. Help your grad learn the ins-and-outs of making it on their own in today’s society. With easy to follow advice on relationships, home-maintenance, shopping for the best deals, and more, this book is sure to help ease the transition from graduate to full-fledged adult. Pick up a copy of this book here. In this useful book written by Kenneth A. Heinzel, he discusses a wide array of job search and interview techniques to help even the most reluctant job candidate succeed in landing their dream job. Not only that, he also covers ways to make your grad’s resume and cover letter stand out from all the rest. Read through the pages and discover tidbits about things you may have never thought of while job hunting – such as social media and credit ratings. Don’t let your grad miss out on these great tips from one of the pros. Click here to order this book on Amazon. In 2010 two fresh college grads flew down to Costa Rica with their friends. While there they met two bracelet artisans who were living in poverty. These two friends Griffin and Paul decided to buy 400 bracelets to help out this small family and see if they could sell them back home. Well, 8 years later Pura Vida Bracelets has grown wildly popular. They help hundreds of artisans around the world earn a stable, living wage while also spreading the pura vida lifestyle. Your grad is sure to love these vibrant bracelets. And if your really feeling generous, you can sign your grad up for the Pura Vida Monthly Club. If there is a music lover on your list, nothing says congratulations like the Amazon Echo. This versatile device enables the user to play their music from Spotify, iHeart Radio, Amazon Music, and many others. It also includes convenient voice recognition and will read you the latest news, sports, weather, or your favorite audiobook. The Echo is also compatible with many smart home devices enabling even more features. You can purchase the Echo Dot, the original Echo, Echo Plus, Echo Spot, Echo Show, and Echo Look. Wow, Amazon has gone a little crazy with those. Not sure which one is right for your grad? The original Echo is a great option. It sounds good when playing music and it’s still small and compact. We use ours all the time. One of the best college graduation gifts for offering peace of mind is a car emergency kit. The worry of a loved one becoming stranded can be eased with avariety of supplies for even the worst of situations. The Auto Club Hero Car Emergency Kit contains 185 pieces offering the finest in roadside assistance. From jumper cables, blankets, fire starters, to tire-repair kits and much more, it offers safety for your loved one until help arrives. No matter the season, help your loved on be prepared while out on the road. Click here to order this emergency kit. If your college grad is into Yoga, this is the perfect gift. Yoga Club is a monthly box of yoga goodies. They have three different sized packages to choose from and each one contains a variety of hand curated yoga products selected by your stylist. And each box purchase also donates a yoga class to a child in need. You can pick up a gift option here. If your graduate is a geography buff or enjoys traveling about, a tracker map may be just what they’re hoping for. It will be easy to keep track of their travels with an easy scratch-off feature, bright colors, flags, and outlines. Help your graduate create memorable trips with this easy and fun-to-use map that stores easily for safekeeping. Great gift idea for your domestic or international traveler. Click here to check out his map on Amazon. Want to help your college grad start investing? An acorns gift card is the perfect gift. Acorns is an investment platform that lets users invest their spare change. Each time you purchase something they’ll round up and invest that amount in your account. Buy a latte for $3.78? Acorns will add $0.22 to your account. You can also set up recurring investments each week or month. You can choose from 5 different investment strategies based on how risk averse you are, which is what I love. It makes investing incredibly easy. You can purchase a giftcard here. Interested in signing up for yourself? Get $5 when you start investing this month. Help your college grad jump into adult life with some healthier, home-cooked meals. A Blue Apron gift card is an excellent way for a busy college grad to save some money on their meals while still eating more nutritious foods. With all the ingredients they’ll need and the instructions to go with it, they’ll be hard pressed to mess up these meals. Is your college grad traveling to another country or even moving there for work? Help them learn the language with a subscription to Babbel. This is by far my favorite language learning tool currently on the market. 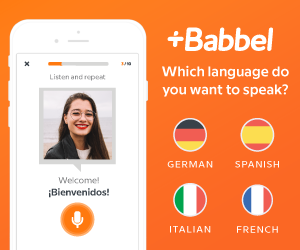 Babbel makes it easy to study and utilizes real conversations to help you pick up the language faster. They offer a variety of languages including Spanish, French, German, Indonesian, and many more. You can pick up a 3 month, 6 month, or even 1 year subscription to help them master a new language. And if you sign up with one of those links you’ll get 15% off. If your college grad is a fan of Star Wars, Marvel, Harry Potter, video games, Game of Thrones, etc. then this is their store. 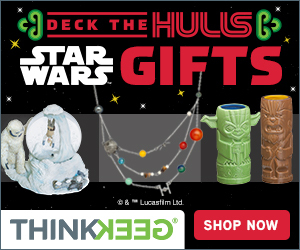 Seriously, Think Geek has everything they could ever want. They’ve got awesome T-shirts, epic toys & games, and more home decor then you could even image. Your grad is bound to love anything you pick up for them from this store, but if you aren’t totally sure, just visit their gift section. And if you still can’t figure it out, just pick up a gift card. Help your grad make friends wherever they go with this awesome game. In What Do You Meme you pair up with a teammate to create the funniest meme by pairing caption cards with photos. A rotating judge picks the winners. If you have a quick witted grad this is the perfect gift. This fun gift is described as “A Party Game for Horrible People.” It’s very easy to play and consists of 550 cards (460 white and 90 black). A question is asked with a black card and answered with a funny white card. 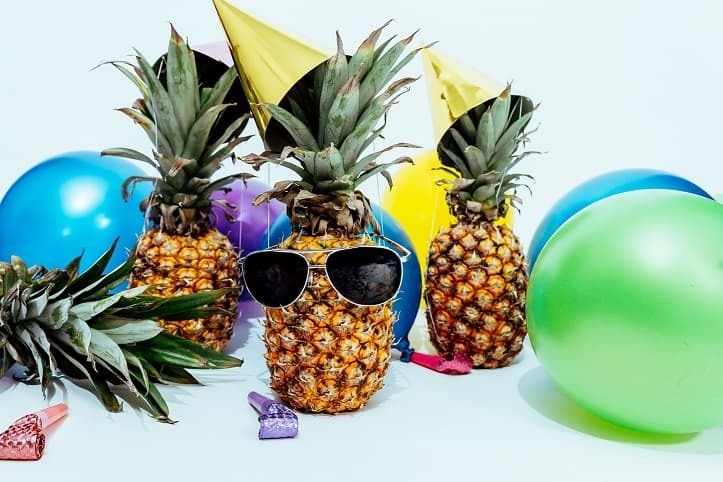 The hilarious questions and answers will be sure to keep the party going with never-ending fun. A great way to enjoy the evening, lift spirits and forget about everyday problems. This game proves that laughter really is the best medicine. Ranked in the top 5 in Amazon’s Toys and Games, give a box full of laughter to your favorite grad. Snag this game for your grad here. Woah, woah, woah. I know you just want to skip past this one because it may seem silly but this was easily one of the best things I purchased after I graduated college. Seriously, this was a life changer, I wish I had discovered on in college. I’ve tried keeping a solid schedule on my phone. I’ve tested just about every “planner” app out there and nothing even comes close to using a physical planner. The Passion Planner is my number one pick. 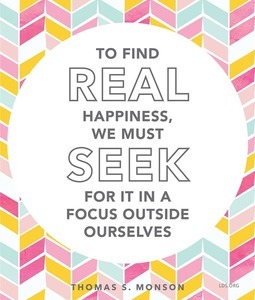 It’s constructed to help you identify the areas of your life you want to work on. Then it helps you craft specific goals and then stay on top of your yearly, monthly, and weekly goals. It also helps separate your personal and work to-do lists and goals which I found incredibly helpful. A couple of other popular options are the Panda Planner (that has a special focus on gratitude and living happy) and the Simple Elephant Planner. Sometimes you just need to get a little sentimental. Graduating college and taking that big step into whatever comes next in adult life is huge. Things Remembered has many great gift ideas including watches, jewelry, bags, cuff links, photo frames, and diploma holders (we have these on our wall). If you want something personalized to commemorate this great achievement, Things Remembered is a great place to shop. This bank is a great gift idea for the traveler in your life. Made of wood, it’s durable enough to survive through years of travel planning. It can be on display or is small enough (5″x5″) to be stored in a drawer and can even be brought along in a suitcase. It’s a great reminder to continue saving for all your enjoyable travel experiences. If you aren’t sure what to get for someone always on the go – give them the gift of motivation to keep their travel plans alive. Order this piggy bank here. The book lover on your list is sure to love a hassle-free subscription to Audible. No matter the genre, Audible has nearly 200,000 titles to choose from, enabling your reader to listen to master storytellers recite their favorite tales and tribulations. Whether your new grad enjoys the hustle and bustle of daily life, or a leisurely stroll, they can bring Audible with them to relive getting taken away to their favorite faraway place. Give the gift of Audible here. One of the best college graduation gifts is giving the recipient the freedom to choose what they want or need. 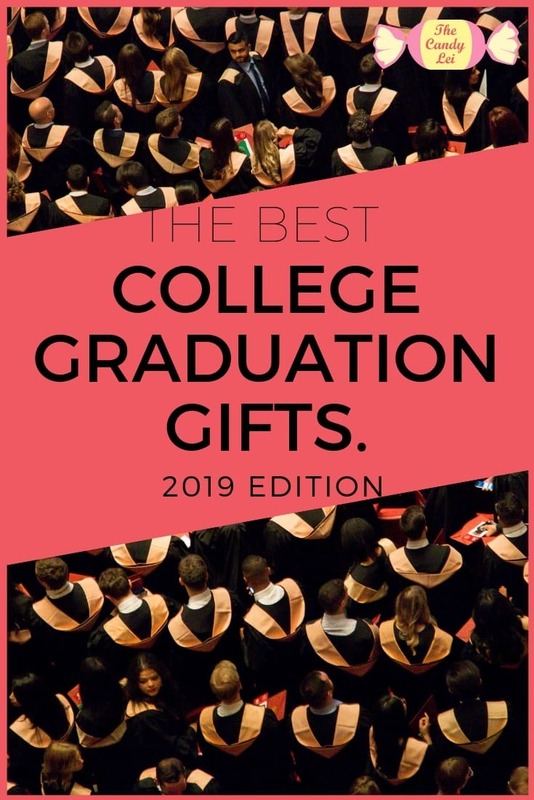 These Amazon gift cards can be delivered by email or text message, enabling the convenience of one-stop online shopping to satisfy even the busiest new graduates. Whether it’s books, home furnishings, clothing, or jewelry, your loved one will be sure to find whatever their heart’s desire without leaving the comforts of home. 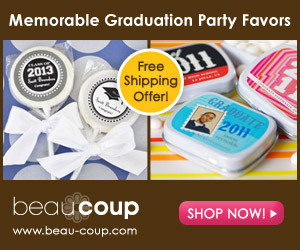 Order a graduation themed gift card here. Need a few more suggestions? Check out these great books college grads will love or these gift ideas for the world traveler in your life.